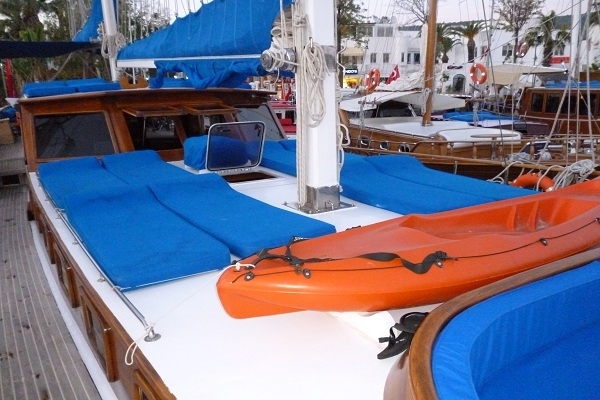 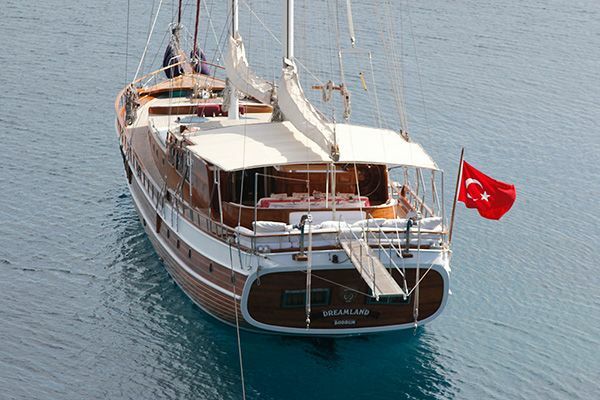 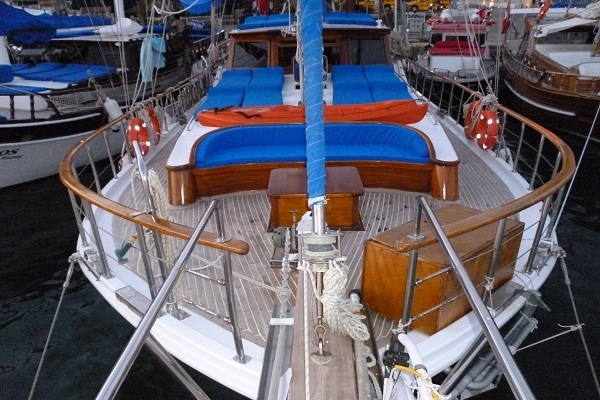 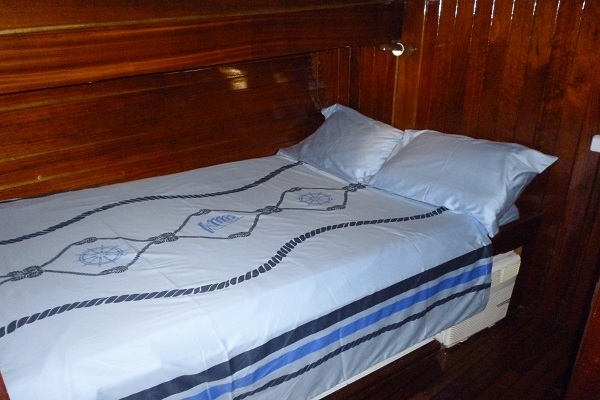 Turkish gulet Alcatraz, 21 meters 6 cabins private gulet yacht in Turkey. 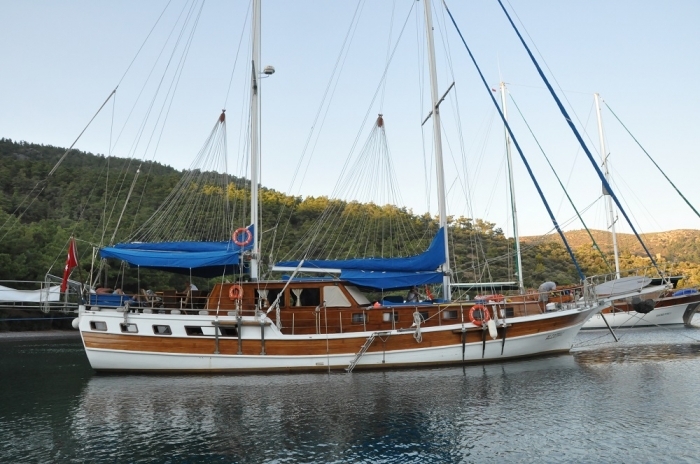 The traditional ketch gulet Alcatraz is a wooden gulet built in 2000 in Bodrum by the master craftsmen of the day and was completely refitted in 2009. 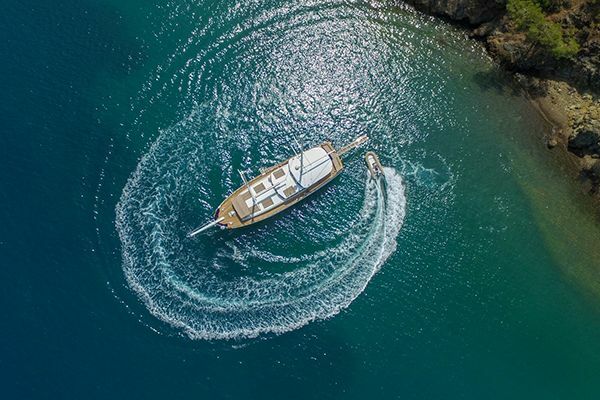 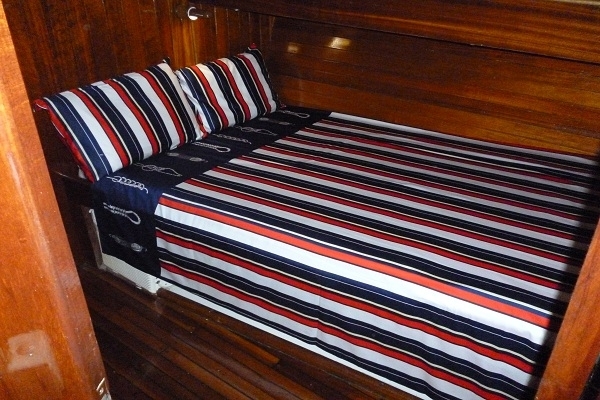 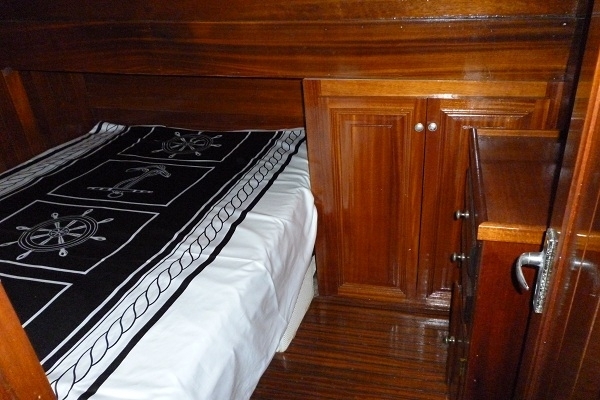 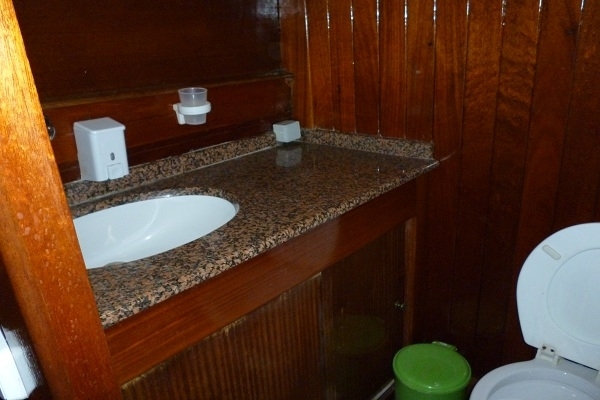 Her classic hull holds six simple double berth cabins for up to twelve guests, and has air-conditioning available. 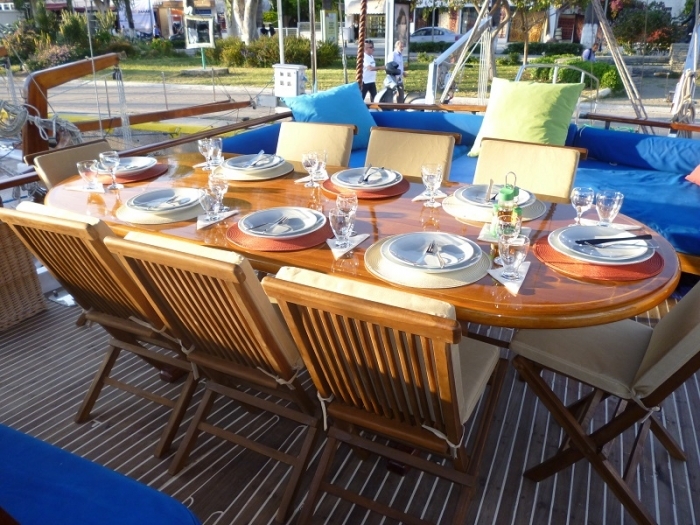 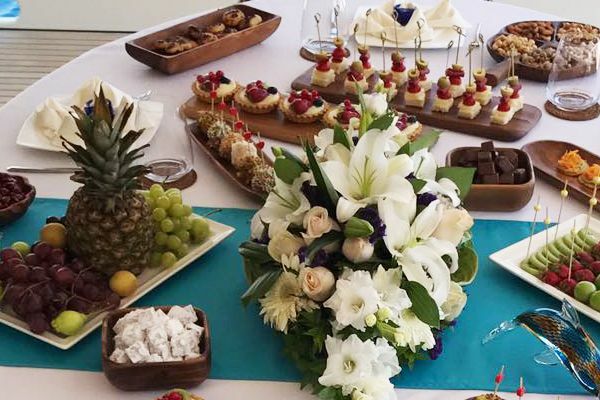 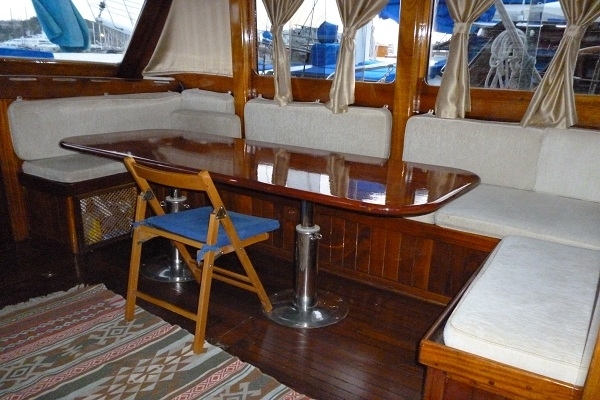 In the saloon a dining table with a seating bench is for ideal for enjoying meals and snacks or relaxing inside, while the main dining table with chairs is located outside on the aft deck, where most guests prefer to enjoy the delicious meals prepared and served by the professional cook. 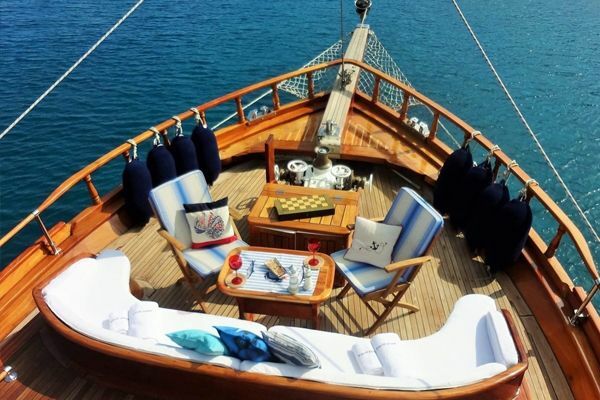 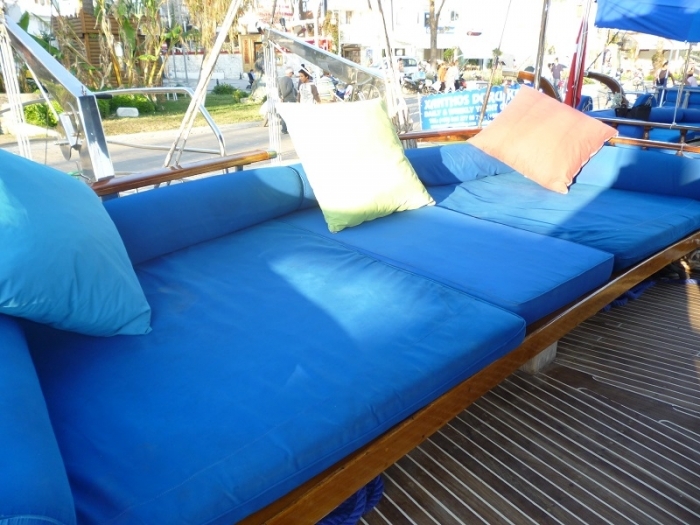 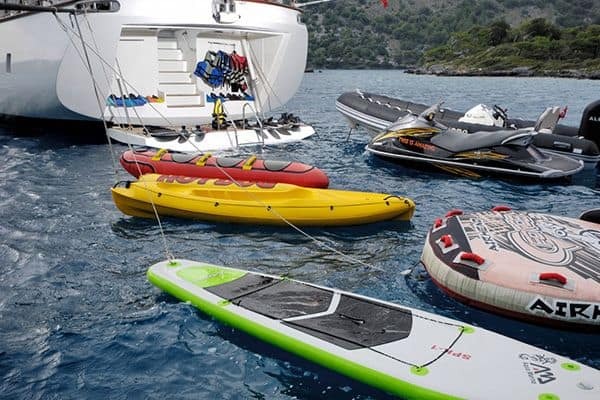 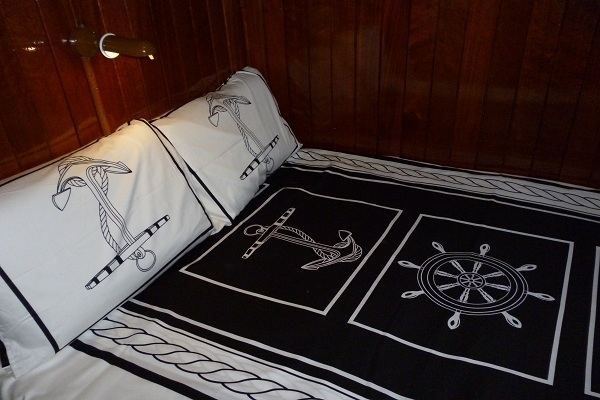 The wide and comfortable cushion pad in the rear is a part of the ample relaxation space on aft and fore deck - all designed about guests to enjoy the blue cruise on the Turkish Aegean. 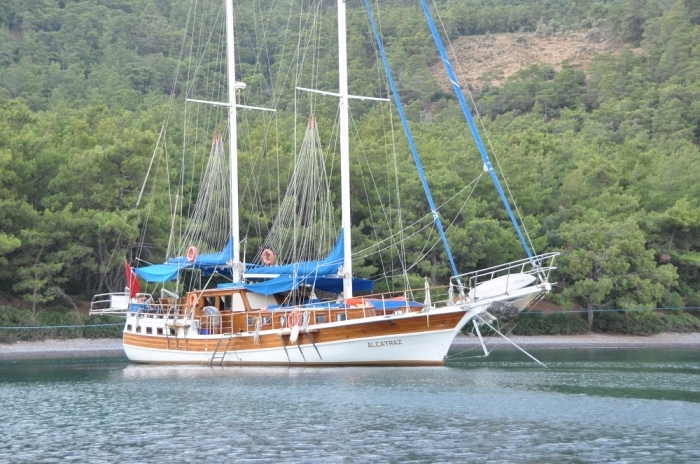 A group of friends or family who want to enjoy the simple pleasures of good food, friendly service, sailing and motoring from one bay to another, stopping to explore and village or an ancient fort, snorkeling, trying to fish and always swimming, will find their gulet holiday aboard Alcatraz is just carefree and memorable, and that they are very well cared for by the friendly, hospitable crew.